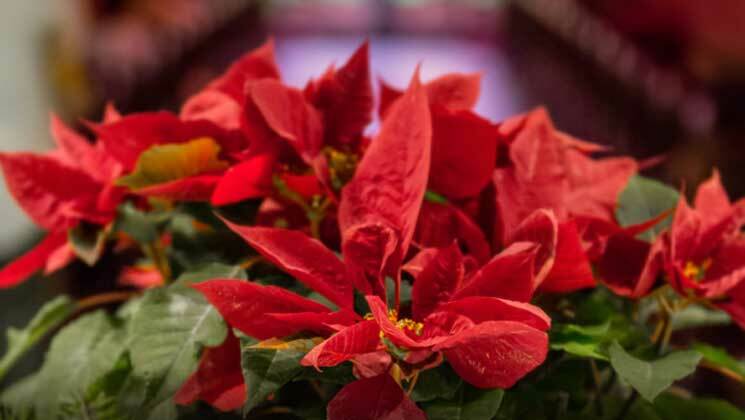 Do you know why the Poinsettia has its Christmas connection? If you didn’t, you soon will, and a sweet little Christmas tale it is too. 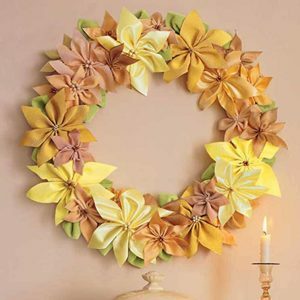 Plus we have brought you some Christmas craft ideas for the Poinsettia – from easy enough for the kids to a pretty fancy piece of work by Martha Stewart. And of course we have not forgotten the real thing. Though the price of real Christmas trees is prohibitive in Ibiza, the Poinsettia is one Christmas tradition from home that we can continue without breaking the bank. But if you are used to throwing yours out with the last of the turkey, think again. As John Hitchin explains, Ibiza’s warmer climate means the poinsettia can be grown into a small tree for annual December garden colour. The poinsettia gained fame in the west due to the first United States ambassador to Mexico and keen hothouse gardener Joel Roberts Poinsett While visiting the Taco area in 1828, he became very interested in the plants and sent some back to South Carolina home from where he started sending them to friends and botanical gardens. Robert Buist, a plants-man from Pennsylvania, was the first person to sell the poinsettias under their latin botanical name, ‘Euphorbia Pulcherrima’ which means ‘the most beautiful Euphorbia’. 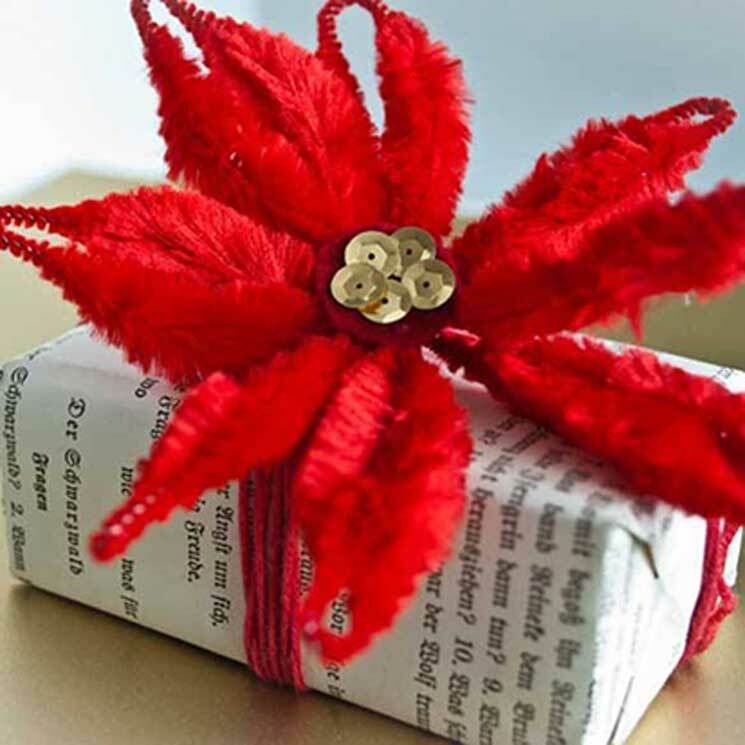 They became known as Poinsettia in the mid 1830’s when people found out who had first brought them to America from Mexico. Considered by the ancient Aztecs to be symbols of purity, in today’s language of flowers poinsettias, the December birth flower, is said to symbolize good cheer, success and to bring mirth and celebration. Pepita didn’t know what she could give, so she picked a small handful of weeds from the roadside and made them into a small bouquet. She felt embarrassed because she could only give this small present to Jesus. As she walked through the chapel to the altar, she remembered what Pedro had said. 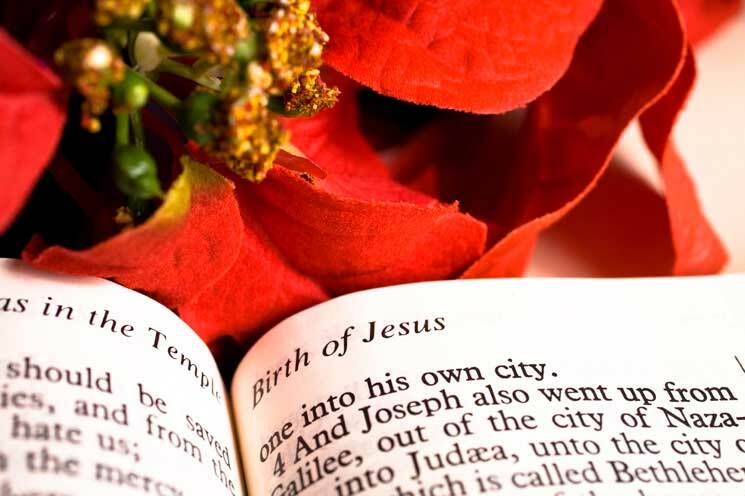 She began to feel better, knelt down and put the bouquet at the bottom of the nativity scene. Suddenly, the bouquet of weeds burst into bright red flowers, and everyone who saw them were sure they had seen a miracle. 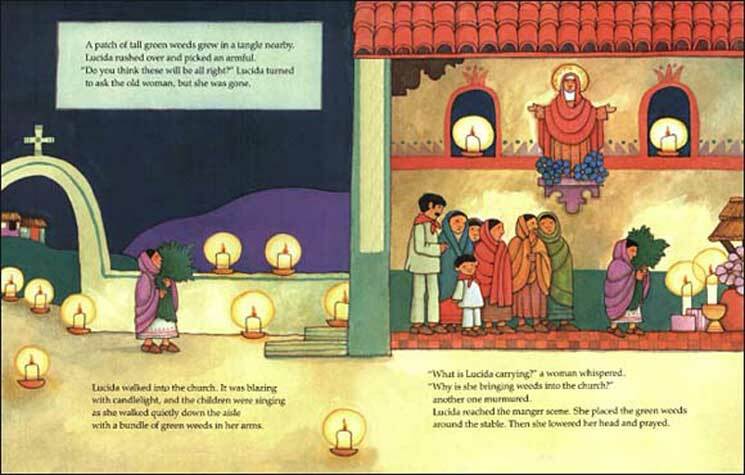 From that day on, the bright red flowers were known as the ‘Flores de Noche Buena’, or ‘Flowers of the Holy Night’. 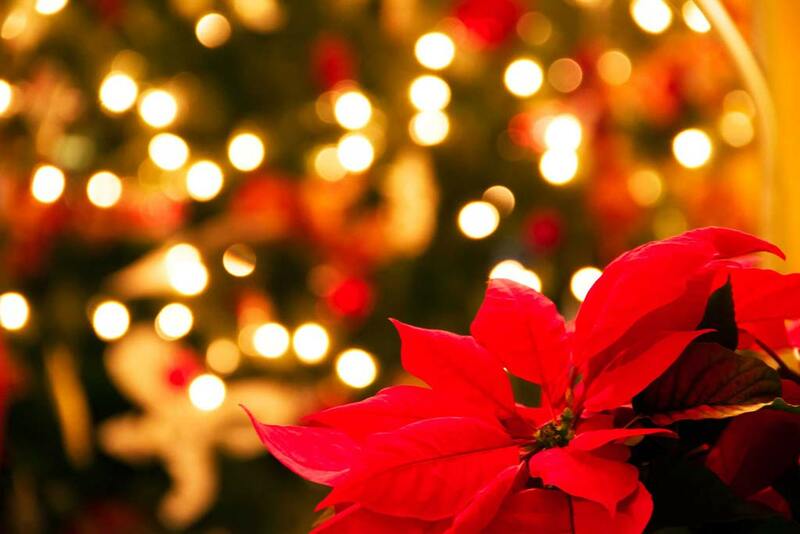 The Poinsettia is the plant that is bought for it’s displays of bright colours at Christmas. Though usually discarded after it dies back after the celebrations, in Ibiza’s climate it can survive and grow to a smallish tree that will give welcome winter colour in the garden with it’s December flowering. A member of the diverse Euphorbia family which thrive all over the world from the smaller forms with green flowers in February common in English gardens to the huge cacti that will grow outside in Ibiza and in deserts such as the western states of the USA including New Mexico, Arizona and Utah. Any fan of western movies would have seen them on the screen many times. The Poinsettia Pulcherrima we are familiar with grows from heights of half a meter to about 4 meters and has leaves that are about 12cm long and dark green. It also has bracts which can be bright red, orange yellow, pale green pink or white, these leaves are often mistaken for flowers. The leaves can change colour through a process called photperiodism in which the plant must be kept in the dark for 12 hours a day for 5 days. The flowers are found in the centre of each leaf bunch and are yellow and quite small. 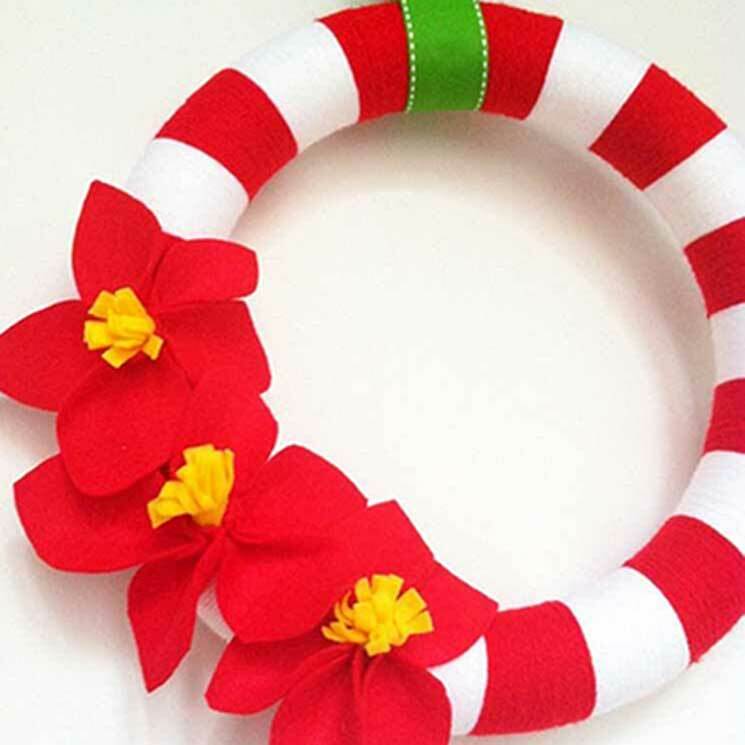 The plant is not only known as a Christmas plant as it is also called the Easter flower in Central America, and Attaturk’s flower in Turkey as the founder of the Turkish republic loved this plant so much he contributed to its cultivation. Poinsettia’s can be grown outside but a frost will normally kill them so a sheltered sunny spot will need to be chosen. It is normally best to grow them in pots so they can be brought inside for the winter and kept at a temperature between 15-18 degrees. They should be kept in the dark at night to encourage coloured bracts and that includes any light such as street and car lights. They will also need bright sun during the autumn months to develop their colour. 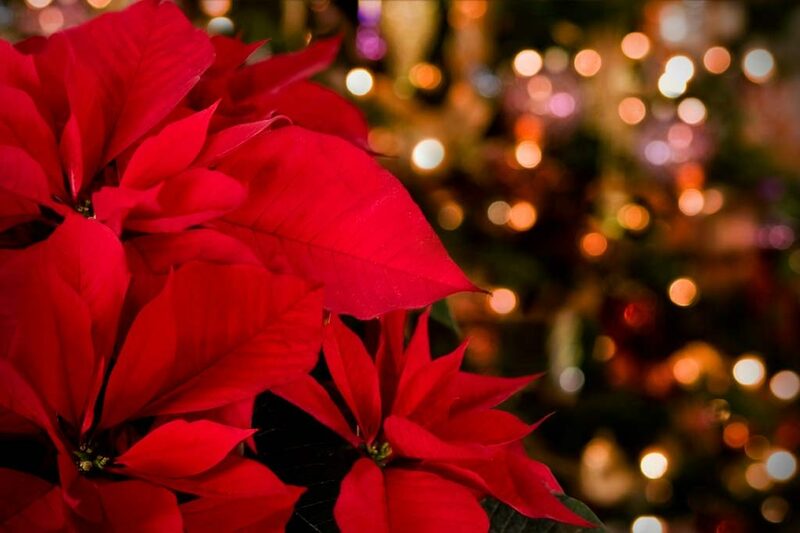 Poinsettia’s should not be over watered and the pots should not be kept in a tray as they need to drain freely. Though the Poinsettia takes some effort to produce the spectacular colours they are known for, they are certainly worth it for the end results.